To better serve their clients, many print and marketing service providers have adopted Variable Data Publishing (VDP) solutions. Research by PODi states that more than 90 percent of printers have some form of VDP solution. They are adopting these solutions for good reason: Research shows that personalized direct mail performs better than generic direct mail. But despite the value of personalized direct mail, many providers are not fully utilizing their VDP solutions. The same PODi report states that only 30 percent of direct mail produced by digital printers—those with the most expertise—are personalized beyond the salutation. The reason these providers give for not personalizing more is the lack of data. It is hard to add personalized information when you don’t know a lot about a customer. Even if you don’t have much customer data, you can use your VDP solution to create personalized direct mail campaigns. Working with locr directly, or with one of our partners, you can use the customer’s address to create a personalized map that details the route a customer would take to get from their home to the location of a business. 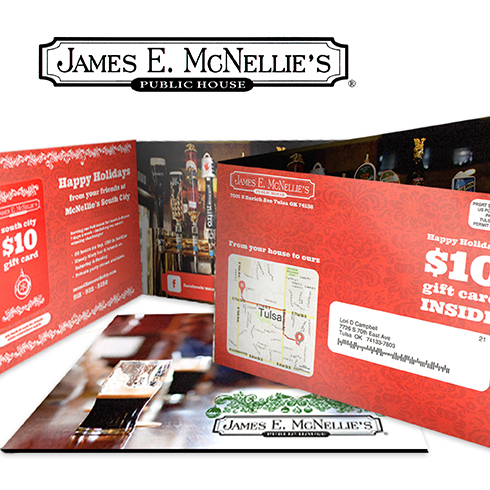 Adding this personalized element to a direct mail campaign enhances your client’s brand while improving response rates. While the process of incorporating personalized maps in your mailing is easy, the results of this effort have a big impact, especially in industries where location is a key value proposition, including healthcare, retail and hospitality. For example, locr worked with a marketing service provider who was creating a direct mail for a restaurant. The restaurant was opening a new location, and while their database had many names and addresses, the client didn’t have any other personalized data to use for a direct mail. Working with locr, the marketing service provider created a direct mail that included a map with personalized directions to the new location. The mailing also included a gift card that the recipient could use toward a meal at the new location. response rate, and business at the restaurant continues to flourish. All the provider needed to achieve success was the customer’s address, an innovative idea, and a VDP solution.